Here to watch people take the bait. 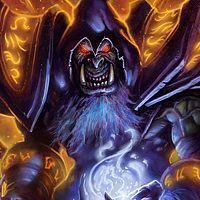 Has Blizzard commented on Hunterstone yet? 01/05/2019 01:19 PMPosted by Boreas<span class="truncated">...</span>"Fresh meta" It's been nearly a month, I think the meta has settled dude.a month since the nerfs ? are you sure?go check the dateNearly a month since the expansion released and Hunter playrate skyrocketed.Fun Fact: None of the nerfs hit Hunter, so who cares. Can we get rid of savage roar? The bait drops again, even worse than before, and yet the simpletons still fall for it.